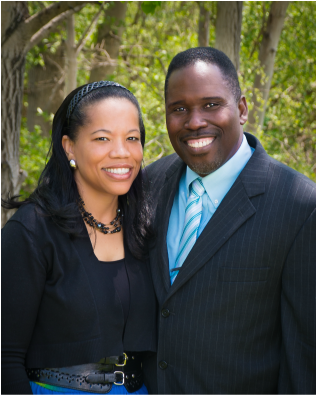 After pastoring in Jamaica for more than a decade, Pastor James and his dear wife Candice migrated to the United States in 2008. Shortly after their arrival, God opened a door for them to lead a team of seminary students from Summit University/Baptist Bible Seminary of Clarks Summit to start Mountain Stream Baptist Church – an intentionally multi-ethnic congregation in the Poconos, Pennsylvania, where Pastor James continues to serve as the Senior Pastor. Pastor James and Candice are passionate about seeing people coming to Christ and maturing in Him. Their focus in ministry is to help people discover the Bible’s path to successfully living for Christ. Pastor James and Candice love the Lord and love ministering to people. They consider it a privilege to be counted among the servants of God. They’d love to have you join them for worship one Sunday soon. Pastor Joel graduated from Lancaster Bible College in 2010 with a Bachelor’s degree in Pastoral Studies. He then spent two years serving as youth Pastor at First Baptist Church in Bloomfield, NJ. In 2012, he began his studies at Baptist Bible Seminary and during those years he met and married his lovely wife, Arrianna. Pastor Joel and Arrianna made Mountain Stream their home and spent three years helping support the ministry by providing leadership in the music and youth ministries. Arrianna came to know Christ at a young age and during her senior year of high school felt compelled to attend Word of Life Bible Institute in Florida to pursue a deeper relationship with Christ. Soon after, she began attending and graduated from Baptist Bible College. Towards the end of his seminary education, Pastor Joel and Arrianna spent a year in Florida interning at Starkey Road Baptist Church. They spent their time serving in the music and college/young adult ministries. After finishing the internship, Pastor Joel graduated from seminary school and soon later returned to serve as the Assistant Pastor at Mountain Stream Baptist Church. Pastor Joel and Arrianna have a passion for people and a strong desire to encourage others in a thriving walk with Christ. They particularly have a heart to lead Mountain Stream Baptist Church in worship and continue to cultivate the church’s youth ministry.